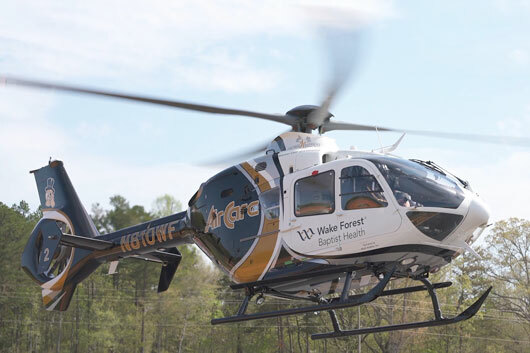 Wake Forest Baptist Medical Center’s AirCare, a hospital-based air medical program, is the newest member of the Metro Aviation family, joining other North Carolina Metro Aviation programs Vidant EastCare and Mountain Area Medical Airlift (MAMA). 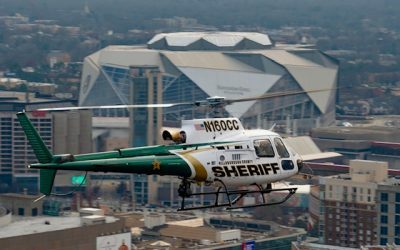 In a matter of six months, Metro Aviation procured and refurbished three Airbus EC135P2+ helicopters for the AirCare program. 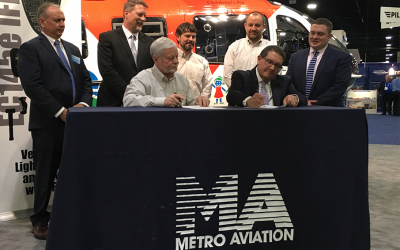 Metro Aviation also hired and trained the pilots and mechanics to be provided, and completed comprehensive training for AirCare’s communication center personnel and medical crew. Metro Aviation begins providing aviation services for AirCare on Wednesday, May 2. All pilots hired by Metro Aviation traveled to Shreveport for basic indoctrination and EC135 full- motion, Level D simulator training at Metro Aviation’s Helicopter Flight Training Center. “We greatly appreciate how engaged and enthusiastic the pilots were during the training process. These pilots sacrificed a lot of time away from their families,” said Metro Director of Operations Jim Arthur. The three Airbus EC135P2+ helicopters were completed at Metro’s subsidiary, PAC International in Mount Pleasant, PA. The state-of-the-art EMS aircraft interiors include crew and attendant seats, Metro’s FAA-certified composite medical floor with a Ferno 28A-1 litter, and Metro’s FAA certified litter-load ramp system. The aircraft are also equipped with Outerlink’s IRIS satellite flight tracking and data monitoring system. Metro is in the process of procuring and completing a fourth and final EC135 for AirCare, which will serve as a fully dedicated backup. The AirCare crew includes a pilot, flight nurse, and paramedic. The AirCare bases are strategically located in Davidson County, NC, Surry County, NC and in Henry County, VA to provide the fastest possible response to calls for critical care transportation. AirCare provides treatment and transportation for adult and pediatric patients with a variety of conditions.